Sitting between Leeds and Bradford, Pudsey is a market town in West Yorkshire. Part of the City of Leeds borough, it has a population of around 22,000 and a good range of housing to suit a variety of tastes and budgets. At My Home Move Conveyancing we’ve been developing our knowledge of markets like Pudsey’s since 2001, allowing us to bring our clients in the town an outstanding, specialist conveyancing service. If you want to buy or sell property in Pudsey, you’ll have to instruct property lawyers to complete the legal work for you. 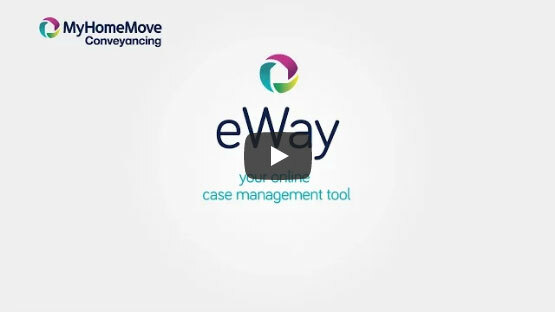 At My Home Move Conveyancing we’ve revolutionised the customer experience you’ll enjoy by combining innovative technology with exceptional customer care and unrivalled expertise. Choose us as your Pudsey conveyancers and take advantage of our award winning, market-leading service which comes for a fixed fee. For total peace of mind, we offer a ‘no completion – no fee’ policy, so if you don’t end up moving for some reason, you won’t have to pay us anything in legal fees. We assign a dedicated conveyancer to each of our clients, who’ll look after your case from start to finish. You’ll have regular updates on your progress, as well as online access to your account. At My Home Move Conveyancing, we adopt a positive approach in everything we do, and take pride in getting things right first time round. We’re pleased to provide our conveyancing services in Pudsey to homebuyers across the area, from those looking to be in the town centre, near the train station, or in neighbourhoods such as Farsley and Stanningley. The average house price in West Yorkshire is £147,377, while Pudsey had an overall average sale price of £172,203 during the last 12 months. Most sales in this period involved semi-detached houses, which went for an average of £164,615, while terraces fetched £145,445 and detached properties £287,776. Recorded in the Domesday Book of 1086 as Podechesaie, Pudsey became an important centre for wool manufacture during the Industrial Revolution. The town was also prominent for its cricket from the 19th century, and was incorporated into the City of Leeds metropolitan borough in 1974. The modern town offers a range of green spaces including Pudsey Park, as well as a market that’s held three times a week and a monthly farmers’ market. Pudsey has a great location midway between Leeds and Bradford, with trains to both cities only taking around ten minutes from New Pudsey station. The M606, M621 and M62 motorways are all relatively close to town, while Leeds Bradford Airport is less than eight miles away, perfect for when you want to go on holiday. There are some excellent schools in the local area for families with children to consider, with primary options including Primrose Hill Primary, Greenside Primary and Stanningley Primary. Pudsey Grangefield School and Priesthorpe School are highly rated schools which provide secondary education for pupils up to the age of 18. All properties in Pudsey will fall within one of the following council tax bands.